With 17.52% of the world population, India ranks the second in the world in terms of population it supports. 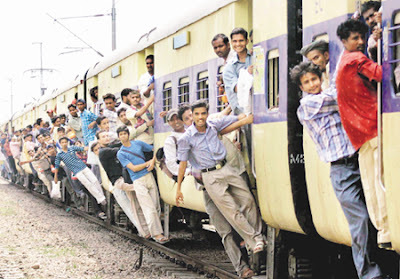 But surprising, the population density is just 336 persons per square kilometer, which ranks India 23rd in the world. Still, that is a huge number to plan and provide for. With the population growth rate maintaining a steady tandem, these figures do not bring out the true situation. Apprehensions regarding food crisis, water shortage,malnutrition, governance, etc. have already been predicted by institutions and experts the world. With this, the other side of the world is facing population decline. Seems like Asians will out-flood the world with their inhabitants. It seems the only option is to give incentives to have less number of children and thus promote this idea of self-conscious and matured thinking in this looming crisis of tomorrow. The problem arises from the lack of awareness and approach to the issue, with most of the states lagging behind in treating this as an item of heightened policy importance. Disqualification of those having more children than a stipulated norm from public positions may well be something which has been held legal by the Supreme Court but again this has been infamed as a gender insensitive move and what not!!! Moreover, disqualification from public posts does not seem to be a huge measure to deal with the problem.